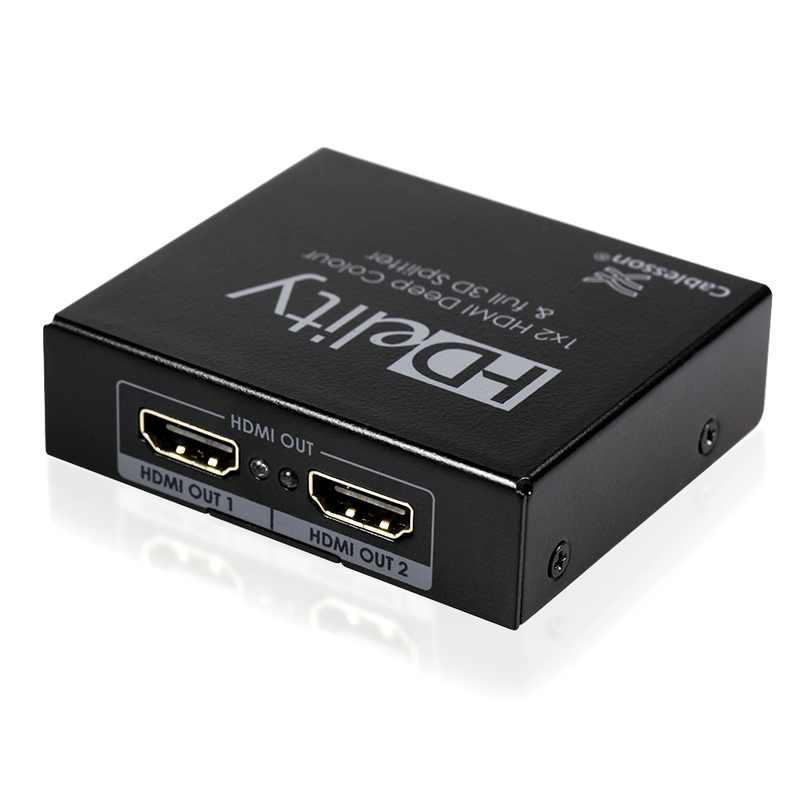 SKU: 102948. 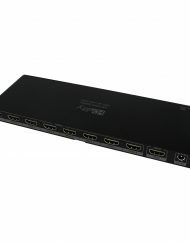 Category: Splitters. 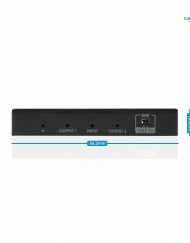 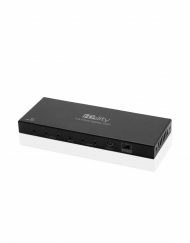 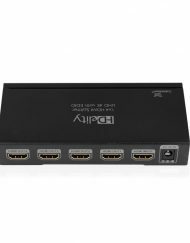 Tag: 1x2 HDMI Splitter - Cablesson. 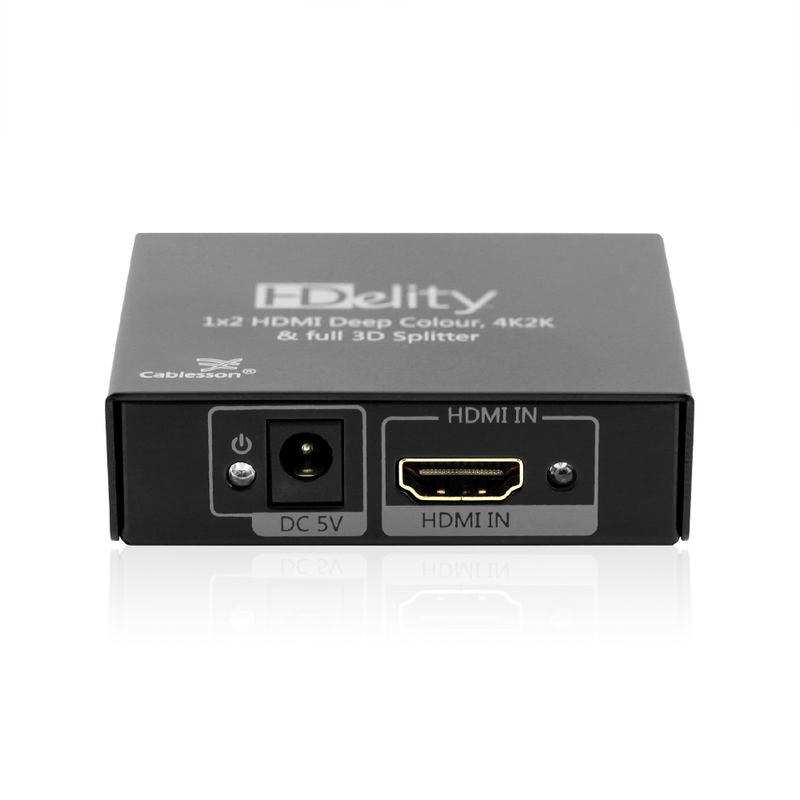 Splits a HDMI signal from a source (eg: Sky HD / PS3 / PS4 / XBox 360 / Xbox One / Blu-ray) to 2 HD displays (eg: HDTV / Plasma / LCD / Projector). 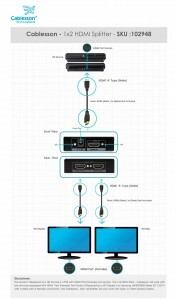 View on BOTH displays simultaneously. 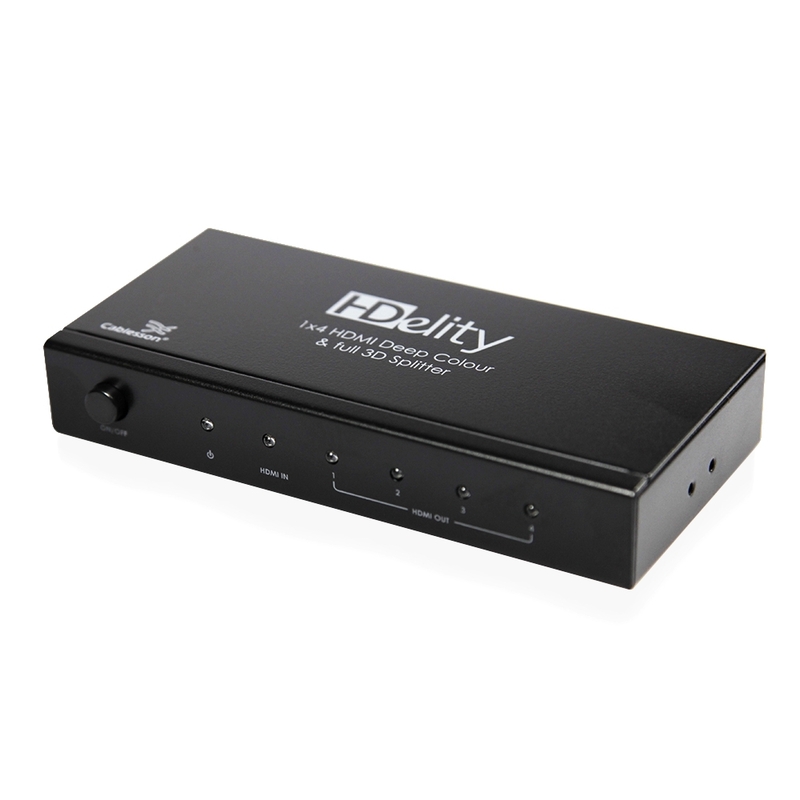 Outputs are synchronized and amplified. 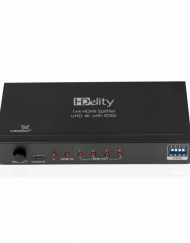 ZERO-LOSS Full HD Performance. 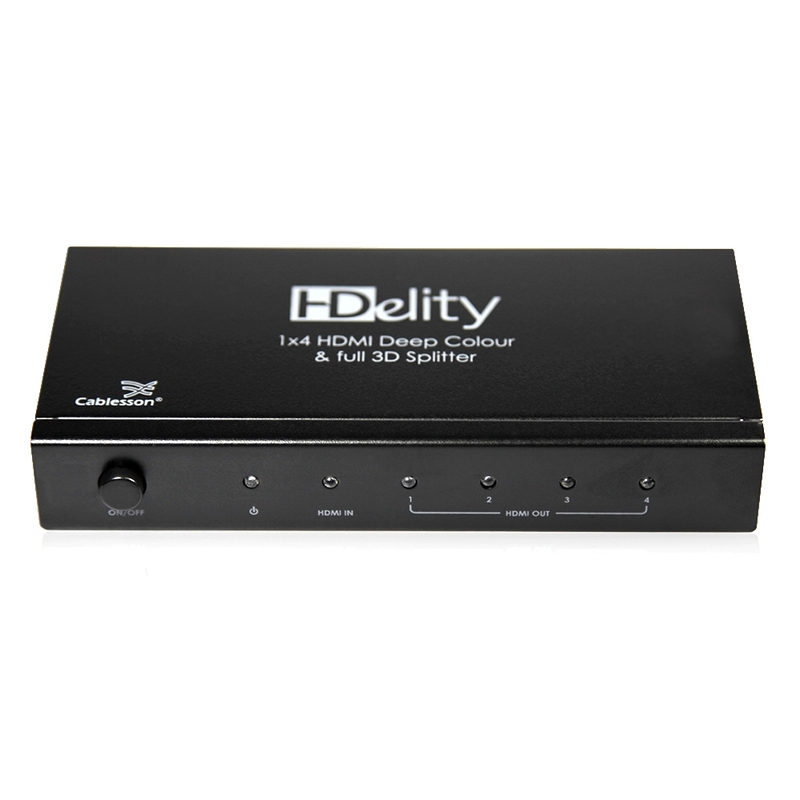 Splits multi-channel, high resolution audio formats such as PCM, Dolby Digital, and DTS 7.1. ? 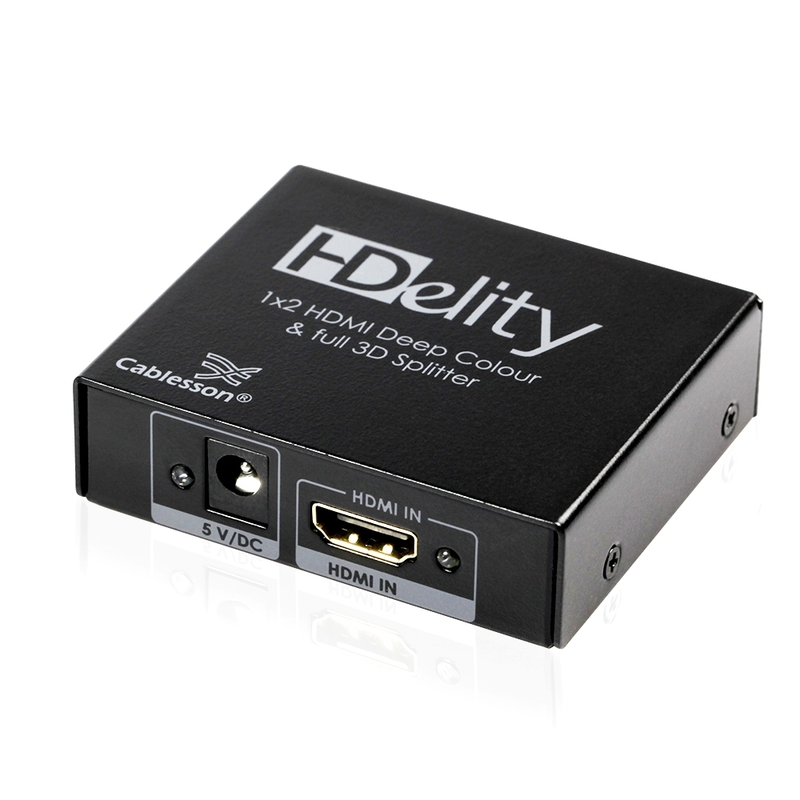 Supports all HDTV video resolutions up to 1080p and 1440p Ultra HD future standards. 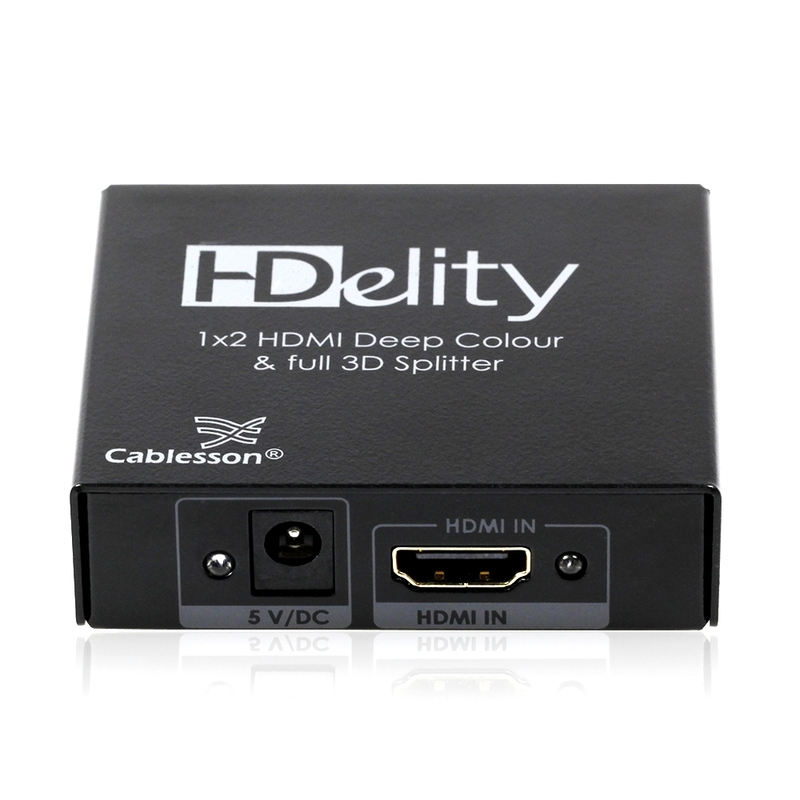 HDCP Compliant. 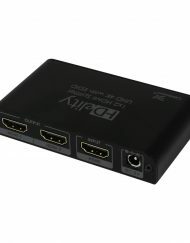 24k Gold connectors and full metal housing. 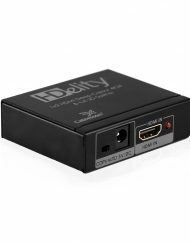 RoHS compliant. 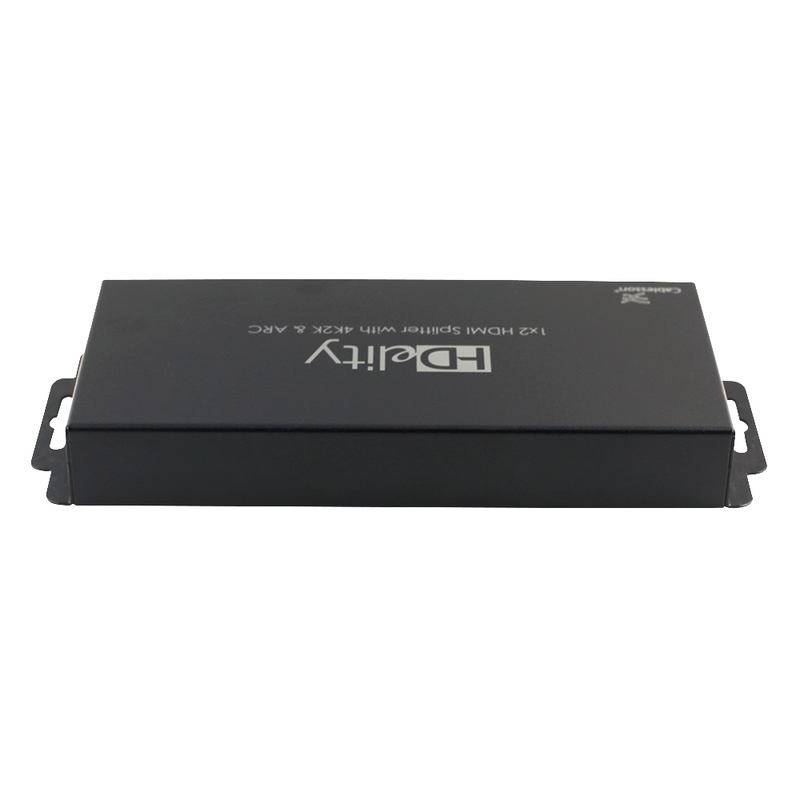 ATC Tested. 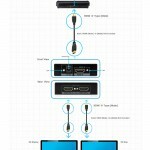 Supports 3D TV, Games and Bluray. Supports High Definition Audio formats such as Dolby; TrueHD and DTS-HD Master Audio, LPCM 7.1, DTS, Dolby-AC3, DSD. 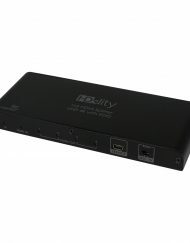 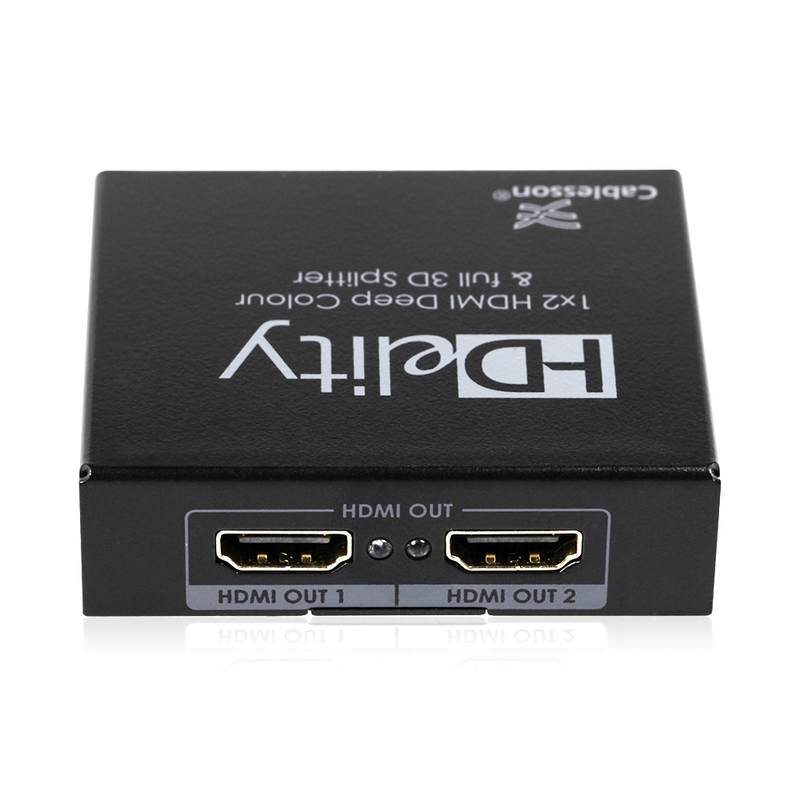 Supports ALL HDTV formats and features inc: 100hz / 200hz / 600hz / Deep Color / 24p / 3D. 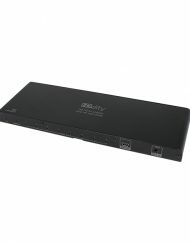 Designed in Oxford and comes with 2 Years Warranty. 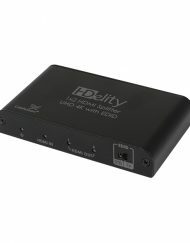 Power over HDMI with some systems (5v DC UK PSU Included should it be required). 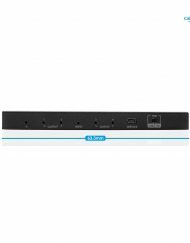 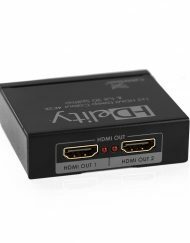 The NEW 1×2 HDMI splitter by Cablesson, you can display identical image on Two (2) displays from one (1) source equipment with HDMI port. 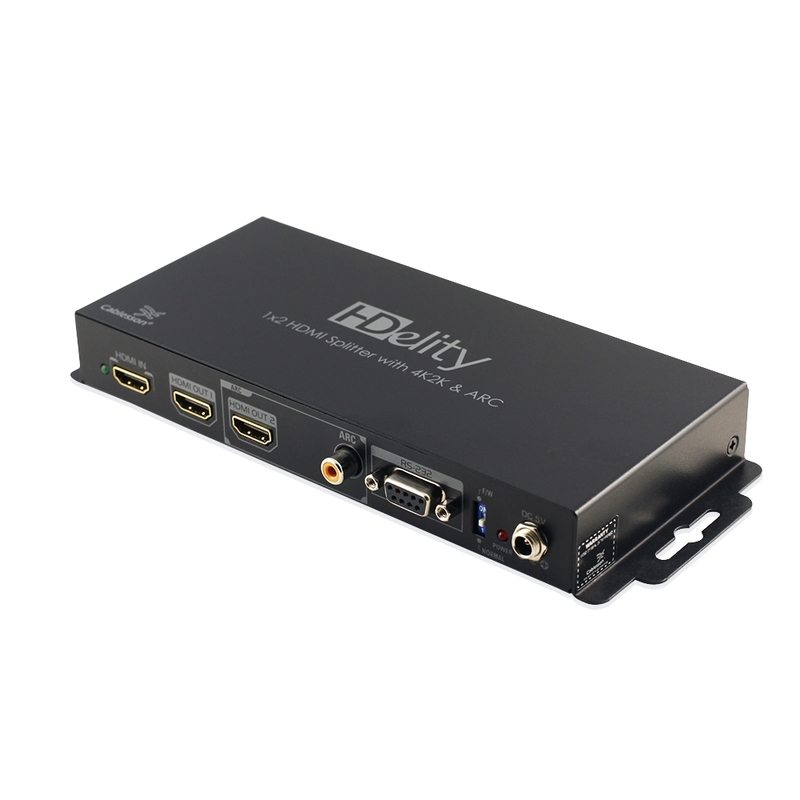 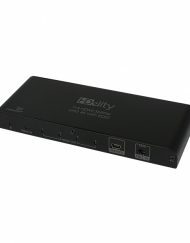 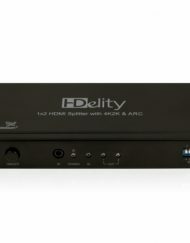 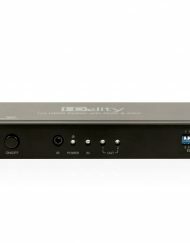 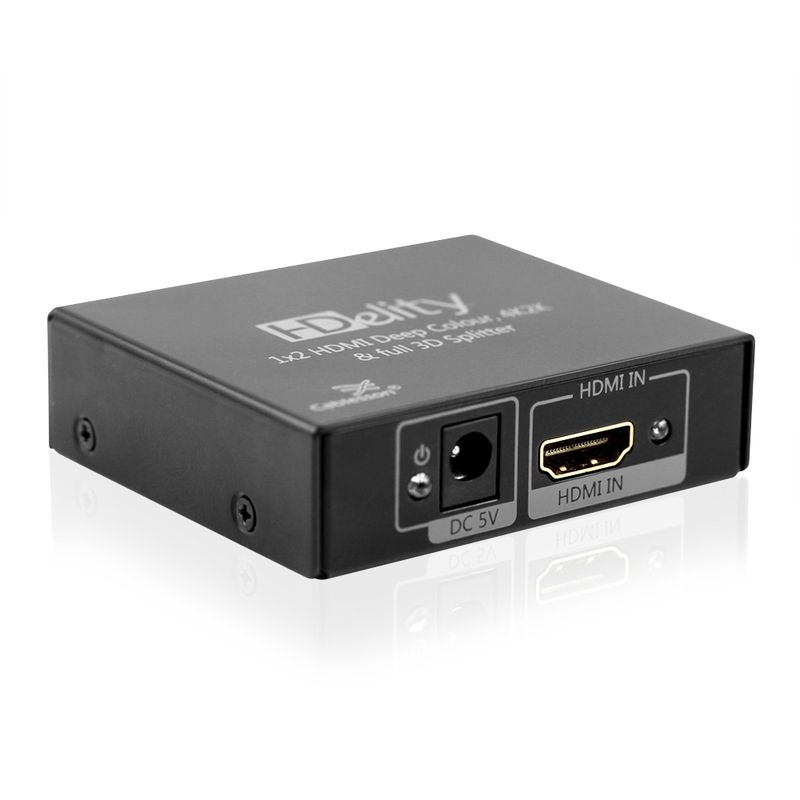 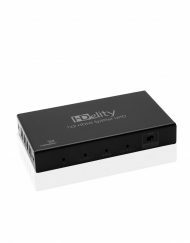 Connect One HDMI sources to Two HDTV display devices maintaining 480i, 480p, 720p, 1080i and 1080p (FULL HD) resolutions the highest HDMI single link video resolution and digital audio signal. 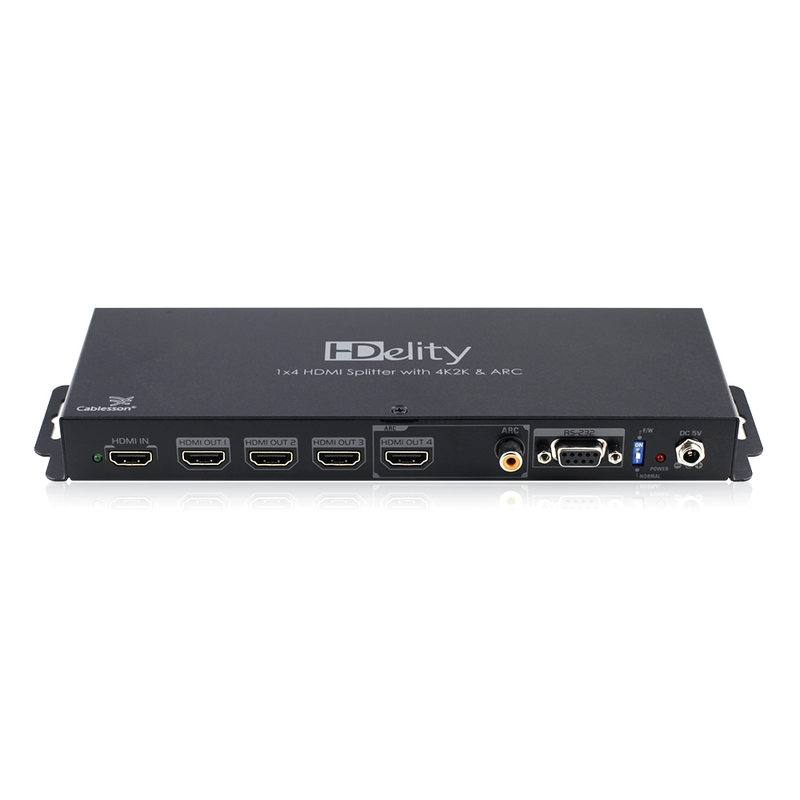 Easy to split 1 HDMI or DVI-D source to four displays. 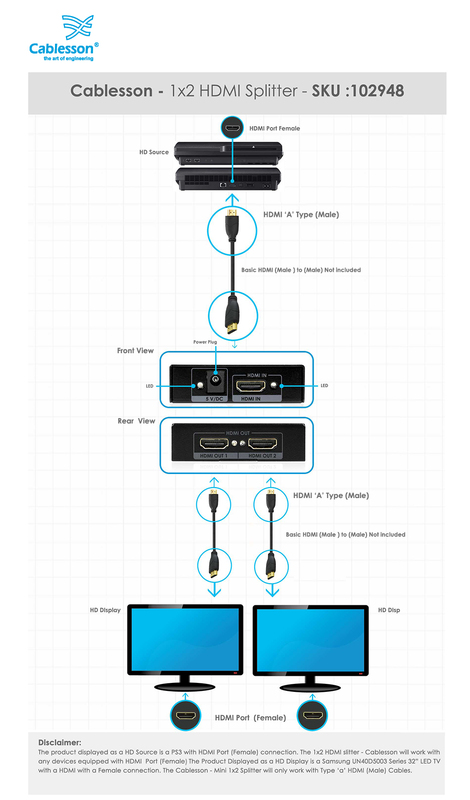 2 displays must support and to be set to the same common resolution.